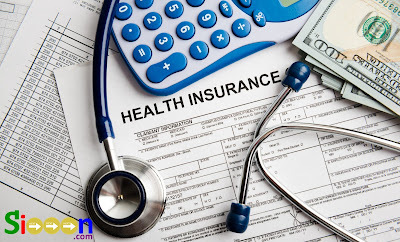 Health insurance is a system of medical expenses underwriting by insurance providers. People who have joined or paid for health insurance, when he is sick, his medical expenses will be borne by the Insurance. So that everyone is required to have Health Insurance just in case, because the costs for hospitals are very expensive. With insurance, there is no need to worry because everything will be borne by the insurance company. The best health insurance 2018, from year to year the cost of treatment in Indonesia is increasing, so it is not surprising that many people become unable to get treatment properly. Therefore, to anticipate the cost of treatment in hospitals are increasingly expensive, people are expected to take the insurance. Although there is now insurance from the government such as BPJS, there are good people also follow private insurance. That’s because the insurance from the government there are several types of drugs that are not covered so that the patient must redeem it using his own money. Drugs that are not covered by BPJS drugs with a high price. The best health insurance 2017 is first occupied by Prudential. No half-hearted, this insurance was ranked first for 8 consecutive years. The award was given by Money Investor magazine. Prudential was named the best life insurance in Indonesia with assets of more than 15 trillion. Prudential Insurance itself is an insurance company that has been established since 1995. Prudential is in Indonesia is part of Prudential plc, Prudential plc is a financial group based in the UK. In Britain, Prudential has been involved in life insurance for 167 years, after which Prudential expanded its wings in country in Asia. One of them is in Singapore, Malaysia and Indonesia. Since 2015 in Indonesia, such as Bandung and Jakarta. Having a number of branches in large numbers in several Asian countries, until now there are many people who register for insurance at Prudential. As for its marketing office spread in several cities such as Medan, Surabaya, Bandung, Batam and Semarang. Prudential customers are very much, recorded until the year 2015 this insurance has customers as much as 2.5 million customers. Customers can join this insurance with the help of marketing staff or insurance agents in the Office of Independent Marketing or KPM. Prudential KPM is already in the city of Jakarta, Surabaya, Medan, Bandung, Yogyakarta, Batam, Bali and almost throughout the archipelago. Many customers who believe in this insurance due to benefits obtained by customers. Customers can choose health insurance products in the form PRUmajor Medical and PRUhospital Care. For additional insurance, customers can add PRUhospital and Surgical or PHS and also PRUmed. The achievement that has been obtained by this insurance in 2015 in the form of premium income reached 26.9 trillion, the contribution of tabaru funds as much as 2.2 trillion, total assets of 55.9 trillion, funds under management of 45.2 trillion and total claims paid To customers in 2015 of 9.1 trillion. You can choose the type of Insurance provided by AXA, you only need to go to the AXA office or contact AXA Insurance Agent. Zurich Insurance, from the name you should be able to guess where this insurance comes from. Zurich Insurance was established in 1872 with the full name of Zurich Insurance Group. Zurich is the largest insurance company in Switzerland and has 170 branches in several countries. Zurich Insurance has very broad coverage. They are ready to cover costs such as health, accidents, products, property, and other fields related to humans. Not only individuals who choose Zurich Insurance as insurance, a number of large and multinational companies also choose Zurich as the most reliable insurance. The other best health insurance is owned by Allianz. Allianz itself is the strongest financial insurer. Allianz has a personal customer of 8.5 million and is also incorporated in the corporation. By 2014 Allianz earns 12.25 billion euros and gains of 10.4 billion euros. The net profit earned by this insurance can be channeled to the shareholder whose profits can reach 6.22 billion Euros. Allianz best health insurance, one product that people can choose is Smart Premier. Check out some of the benefits that customers can get the following : Providing premium rooms at a rate of 6 million per night. Customers who want foreign treatment can choose this class. There are special additional benefits for customers infected with HIV. The special inner limit for surgery is quite large. Of course you are familiar with this one insurance. Manulife is a long-standing insurance in Indonesia. Manulife was in Indonesia in 1985. Just like Prudential, Manulife is the business arm of a Canadian-based group of financial providers. Although originating in Canada but the group operates in Asia, Canada and also in the United States. In Indonesia Manulife offers a wide range of insurance such as life insurance, accident and health insurance, pension funding to individual customers and industry players. Manulife employees as many as 10 thousand and already have many professional agents. The agency is spread across 25 marketing offices. The advantages of Manulife insurance are the following. Dual room finance system will make it easy for customers to get treatment abroad. The cost of treatment to be paid to the customer is 100% so that the cost will be obtained by the customer in accordance with the bill as long as the bill is in accordance with the cost of the room per night and not exceed the ceiling. Outpatient for 60 days and maintenance costs involving physiotherapy will be covered by insurance. Additional benefits of special insurance for customers affected by HIV or AIDS. Funeral fee of 30 million for customers. This facility is not limited to room class so customers with all types of rooms will get this facility. That’s the list of best health insurance 2017 that could be a reference for you who are looking for insurance. That is the 5 best Health Insurance companies in the World, hopefully it can be a reference for those of you who are looking for a Health Insurance Company.